Have you seen the commemorative coin of the Royal Engagement? Man, Kate Middleton must be turning into a Bridezilla any time soon. 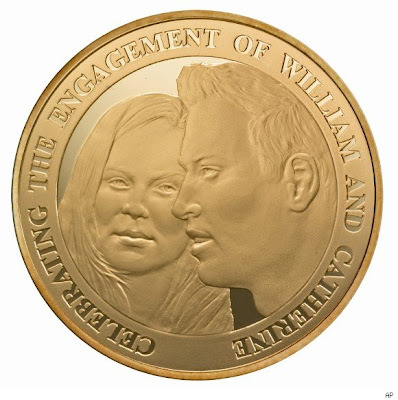 Apparently this coin, so unflattering for Kate, has been approved by Prince William and Queen Elisabeth. No room for Kate's approval... Not only doesn't even resemble her, it shows a very suspicious looking Kate, with a rised eyebrow over Prince William... What do you think about this?